All for one and one for all! 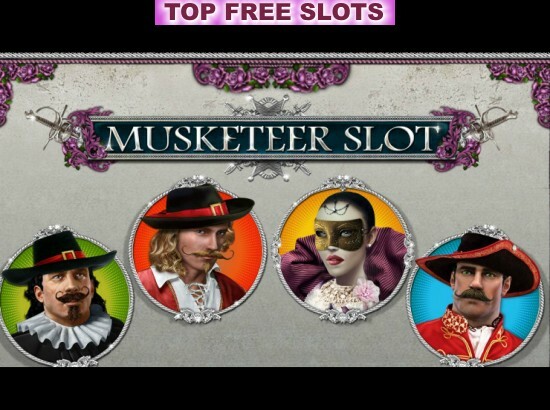 There's the right slogan for playing the free online Musketeer slot machine developed by iSoftBet. This pokie consists of 5 drums, 3 rows, and up to 20 paylines which are, keep in mind, not fixed, which means you can set the number of paylines by choice. The sounds in the background take us to that renaissance age of France. The game is drafted of 12 figures to help you make or boost winning combos! The coins to stake on range between 0,01 and 1,00 per line. 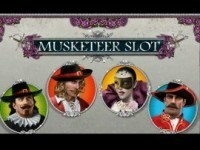 Gamesters prefer pokies where they can configure the wager as they wish, which is why they choose to try this one. The pokie is made of 12 symbols, 1 wild, and 1 scatter. The icon wild is €˜'Castle'', and it is a substitute for some other symbols and it appears on reels anywhere from 1 to 5. The €˜'Lady with the mask '' icon is a scatter, hitting 3 or more scatters at any position on the reels triggers the Free Spin Bonus like if you hit 3 of the €˜'Lady with the mask'' icons you get 10 extra turns. Egyptian Riches - Bonus Feature 20 Line Slot from WMS. Emerald Eyes - Free Spins 20 Line Slot from WMS. Enchanted Dragon - Bonus Feature 20 Line Slot from WMS. Terminator 2 - Free Spins 243 Ways to Win game. Baywatch - New Bonus Feature 20 Line Slot Machine. Top Trumps Celebs - Bonus Feature 20 Line Slot Machine.